March 22, 2012 /Photography News/ As the festival expands in 2012, the London Festival of Photography Prize is an opportunity for photographers to submit projects for inclusion in a world-class exhibition celebrating the annual festival theme. Each year the festival will explore a relevant and far-reaching theme through photographic exhibitions, workshops, participatory activities and debates. This theme intends to explore the changing boundaries between the public and the private, as both physical and metaphorical concepts, and the social consequences of these shifts. Considering the role of photography as a tool for documentation, expression and collaboration, the festival is looking for work responding to the theme in its broadest interpretation. photo-film (multimedia): a link to a file embedded in YouTube or Vimeo, max 6 minutes. Photo-films must be a combination of still photography with at least one of the following additional media: audio/music/video/animation/graphics. The prize is open to all photographers aged 18+, anywhere in the world. All entrants will receive up to £80 in vouchers and discounts including a £28.95 voucher to print their own photo book from Blurb.com, 20% off membership to the Royal Photographic Society and up to £30 off subscription (UK only) to the British Journal of Photography. 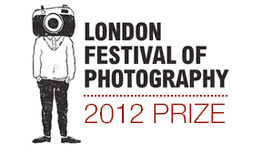 For more information visit the London Festival of Photography Prize website. this is one of the best calls for photographers i've came across. with such a clever theme, one needs to think well of their portfolios. Thanks dear for this post. love astrology.